What Level Rider Are You? Check the ads for horses for sale, and you will find that the animals are often categorized by the level of rider who can best be expected to handle them appropriately. Having been on both the buying and the selling end of the process, I’ve noted that many riders are not clear on what constitutes Beginner/Advanced Beginner, Intermediate/Novice, and Advanced/Professional levels of training. Many opportunities for humor can be had at the hands of a novice rider whose self-image had been unhappily enhanced by an instructor seeking to bolster confidence without actually adding the necessary skills. 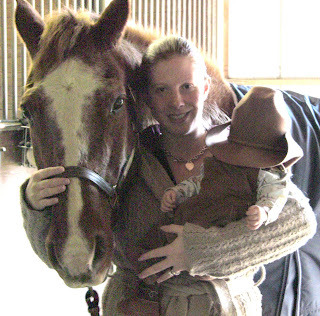 Non-Rider: You have fond memories of pony rides from your childhood and can pick a horse out of a livestock lineup with a fair degree of certainty. You like the way horses look and enjoy flipping through the ads, but should not be considering buying a horse. Riding is not as easy as it looks. Beginner Rider: You have been on a horse several times and may have had some lessons, either formal or informal. You are not entirely clear on the concept of diagonals or leads but can recognize at least three of the horse’s gaits. You comfortably ride the walk and trot without falling and have mastered stop and go. Under no circumstances should you be horse-shopping. If you must single out an equine partner, lease one from the lesson barn where you will continue to take lessons until such time as you are released into the wild. Advanced Beginner: You have had a year’s lessons with a professional and are hitting the diagonals accurately about 75% of the time. You have cantered and can do so without panic, though your mount still gets off on the wrong lead from time to time. You are beginning to feel safe on a trail ride or in a group of riders in the ring and are not a hazard to yourself or others. If you’ve decided to buy a horse, aim for the ones labeled “family horse” or “husband horse” or an older animal designated “bombproof” and make sure you take a professional or advanced rider with you when you shop so that the description can be verified. Intermediate/Novice Rider: This is where the lines begin to blur. 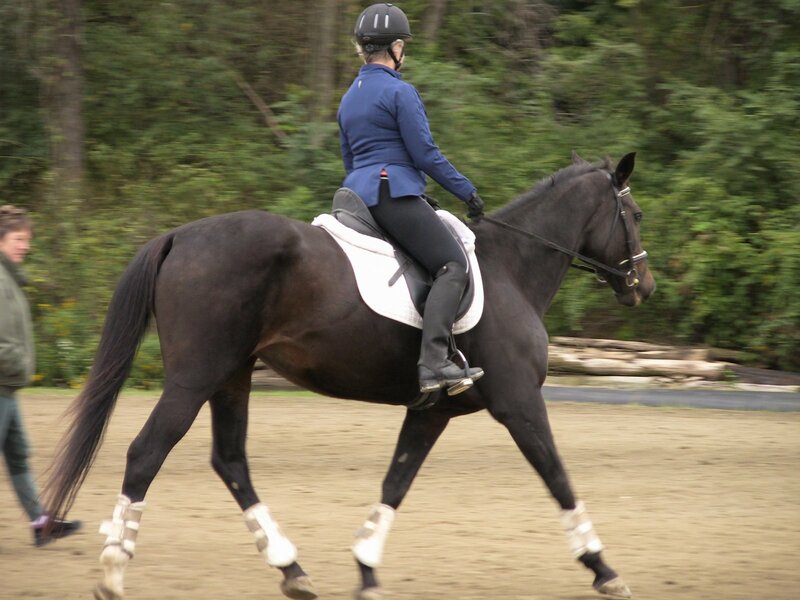 An intermediate rider should have had several years of lessons with a professional trainer or have spent many miles in the saddle under the watchful eye of a very experienced rider. You should have no question in your mind which diagonal or lead you are addressing and hit the mark 100% of the time. You should be able to ride a shying or lightly bucking horse, take a horse across water or into new surroundings without injury to yourself or others, and recognize various illnesses and degrees of lameness. You should be adept at grooming and tacking up your own mount unassisted. When shopping, look for horses labeled for your level or lower. Many sellers who have many years of riding experience will classify a more advanced horse as “intermediate”, forgetting what it feels like to be a beginner. Do not even bother to look at a horse labeled “advanced” or “experienced rider” unless you have a pro or very advanced rider who is willing to try the animal and give you an assessment. Advanced Rider: You have many years in the saddle, may have shown successfully at local or higher-level shows, and you’ve done some training. You have been trained by someone who was merciless in forcing you to face your fears, and you are willing and able to take risks with a full understanding of the possible consequences. You are someone to whom less-experienced riders turn for advice. There are few situations you have not encountered on horseback or on the ground around horses. You know basic vetting, can even stitch up a wound in an emergency. You have worked around horses or lived with them for years. You should be able to determine for yourself just by watching the seller ride the horse whether or not you want to take on the challenges the animal may present. Curiously, many advanced riders opt not for the outrageously difficult horse, but for the “packer”—the horse that’s been there, done that, and is capable of taking care of himself and his rider. Advanced riders are nobody’s fools. Professional Rider: Differentiate this category from “professional horseman”. A horseman may run a farm and take care of horses without being a great rider. 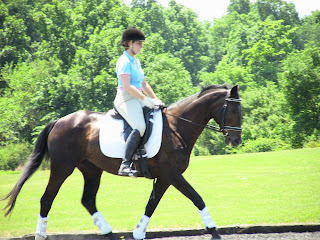 A pro rider makes money from the sport, either as a trainer, instructor, or high-level show rider. Professionals have many years of experience and have proven themselves repeatedly. Very little escapes their watchful eyes, so this is the person you want with you when you horse-shop. Though some professional riders have never actually had a lot of hands-on horse care experience, they can read a horse in an eye blink. Keep in mind that your safety, that of your mount, and the safety of other people and property depend on the honesty with which you assess your riding skills. Accidents happen, of course, and there’s no guarantee against a horse taking the situation in hand in ways that put a human at risk, but compounding the problem by taking on riding situations or equine partners that are far above your ability level is foolhardy. Herd dynamics. The term has been bandied about for several years, usually in connection with training issues. It is the Boss Hoss who makes the rules, and the best-case scenario places you in that head honcho position. But do you really understand what that means? Have you put in the hours and the miles with the herd—any herd—to see what makes it tick? Do you know that it’s called “dynamic” for a reason? The reason is that it changes, not just with your ability to command (not “demand”) respect, but with what may appear on the surface to be tiny and often unpredictable (to humans) paradigm shifts among the horses. Beginning with your need to take charge so that you will avoid injury and be able to manage the horses singularly and en masse, it is vital to note that while horses appear to be a bit rough on each other (bleeding is not unusual when a new horse is learning the hierarchy or a foal is getting too big for his hindquarters), the ability to lead does not depend on physical strength. Horses, herd animals and basically prey for anything with teeth, are always looking for safety. And food. Safety and food are their currency. There’s safety in numbers, which is why they cluster together. In a group, there is always someone available for sentry duty and generally someone who is willing to become president and get the perks that apply. A singleton horse is an easy mark by comparison. In human society, small group behavior governs everything we do. There are always two leaders. The Expressive Leader offers the face of the group to the public at large. The Instrumental Leader does the dirty work of keeping the group operating on all cylinders. Leaders are chosen on the basis of accumulated Accountability Points. Points are scored each time a group member makes a decision that has a positive effect on the group. The guy who makes the most good decisions (politics excepted) is tacitly voted Instrumental Leader. The guy who most consistently represents what the group stands for becomes the Expressive Leader. There’s no actual election. This all happens without fanfare. Look around you at your group of friends or coworkers, and you will easily be able to identify the leaders, the “Go-To” guys, the ones the rest of you emulate and look up to in an unspoken agreement to follow their lead. Horses operate in much the same way. It’s not always the biggest or strongest stallion who runs the herd (though he may have more mares following him around), but the one who is best able to find water or good grazing grounds. The mare who has the best ears and is on the money with her danger warnings most often becomes Lead Mare. When those two pair up, the rest of the herd follows like sheep in pretty much unquestioning loyalty. Unquestioning, that is, until the new guy moves in, or until the admitted leader is taken away for a while for training or lay-up after an injury, or until the lead mare chooses the new guy to mate with, and all bets are off. That’s the “dynamic” part, and that’s where you come in. How do you go about securing your position in the herd without creating chaos? First, you need to be consistent. You need to recognize the equine body language that says “I challenge you, interloper!” and know how to fight back. You need to avoid putting herd members in jeopardy. You need to get the cooperation of the herd leaders. To do that, you must do some serious training with them and never take Nuh-UH! for an answer. Learn quickly, as well, that fighting a 1200-pound animal that has a memory is fruitless. Finesse is the name of the game. I may never truly be in charge as long as Zips Fireball thinks he has my number. Every time he runs through the lead line or plays musical stalls on his way in for dinner, and I don’t stop him or at least make a successful show of my anger, I lose accountability points. Laid-back Leo can be counted on to throw a tantrum just days after Zip has had a whopper. Even if I win (and I always do), Leo has to give it a shot. This is where consistency comes into play. Every horse gets treated as an individual, but they also are all treated with the same level of both respect and firmness. I may adore Princess Pokey, but when she’s in heat and gets a little full of herself, when she tries to boss me like she bosses the geldings, I have to stand up to her and take her down a peg. Working your way into the herd as human partner does not (necessarily) require violence. That’s not to say that a quick swat with a crop to stop truly dangerous behavior can’t ever happen; it’s to say that there are other ways. Horses hate being separated from the herd. Monty Roberts explains that the best way to stop a young horse’s bad behavior is to let all his friends and family out into the pasture, and keep him away from them. Take that a step farther and also keep his feet moving so that he begins to get the idea that he’s no longer in control of the situation, and it won’t take long for him to shape up. With a young horse, the apology comes in the form of wide-open mouthing, a juvenile behavior indicating submissiveness—mimicking nursing, is my best guess. With an older horse it will come with rapt attention to your every move and an unfettered joy at being allowed to stand still and do your bidding. John Lyons says that if you control a horse’s feet, you control his mind. Truer words were never spoken. A horse’s “fight-or-flight” response is strong. Prove that you can prevent his flight or control it, and don’t allow him to fight (eg: don’t stand like a moron where he can run you down or kick you), and he’s yours. Add Curt Pate’s admonition that a horse can only think of one thing at a time, and it should be easy enough to out-smart your Boss Hoss and move into his position. You already own significant points for being the Giver of Food and the Opener of Gates. Add Controller of Feet, and you’re a shoe-in. Never forget, though, that you are not a horse. They don't see you as a horse or a part of the herd. That's a misconception that can get you killed or make you look stupid to your neighbors when they see you walking around with the horses, pretending to graze. They see you as another critter, part of their world but slightly outside the herd, and one from whom blessings and craziness flow. Work with that. Your aim is Controlling Executive Partner, not co-worker. Visit the herd and watch them for a bit. When you’ve figured out the hierarchy, make your move on the leader’s spot. One day you may, as I did recently, be startled to find the entire herd lined up behind you in order of importance as you walk from the pasture. It's an interesting experience and leads to a much better relationship on all sides. But I mentioned Facebook, right? And some readers are probably curious to know why. It's ironic that the social networking sites seem to completely defy the dynamic. Some research has been done into the phenomenon, but there's nothing conclusive thus far. What's obvious is that the "Best Decider is King" rule doesn't hold water online. Perhaps it's the anonymity factor. Perhaps it's the fact that the written word at best, when wielded by a pro, still only carries about 10% of its intended meaning forward to the reader. Flung about by the less-than-verbal poster, it carries less but sometimes has more impact. The online herd is generally cowed by the loudest, angriest, most-able-to-find-the-Caps-Lock-button rather than the one most able to make good choices for the herd. This herd isn't being led to water or good grazing, isn't trying to set up a village or a business. Generally the online networking herd is just looking for diversion and support. From strangers? Sure, why not? It would be helpful if all the online profiles were factual, because the upshot of this dynamic is that the best BS-er sometimes appears to be the best option for one of the Leader roles. At one time or another everyone who has frequented an online forum or a networking site has come to that Ah-HA! moment, recognized someone's leadership skills, bowed deeply, kissed the ring...and then been gob-smacked when the Chosen One has been shown up as a 60-year old pervert or a 16-year-old pervert wannabe. In time the research will catch up with the Networking Effect, and the results should be intriguing. Wait for it! Can You Really Handle a Rescued Horse? The question of what to do with all the horses seized from neglectful homes or directly from the slaughter pipeline has taken on a new importance. Breathes there a horse lover with soul so dead that s/he has never considered saving a horse? Websites and magazines are filling with ads for “adoptable” horses. Some have already been professionally rescued, fitted up for service (or deemed only pasture sound), and even retrained. Horses like these can make wonderful additions to an already-horsey family. Many need nothing more than consistency in their training and continued veterinary care and they are ready for the trails or the show pen right off the trailer. Many others are healthy enough and easy to handle but not sound enough to be ridden. For a family with a solitary back-yard horse and plenty of disposable income, a pasture mate might be just the ticket. Everyone wins in these scenarios. So why did I start this by questioning your ability to manage a rescue horse? Well, that would be because the lovely, pleasant pictures I just painted are not the rule. The rule is more along the lines of a willing (or, more painfully, a wannabe) horse person sees a down-and-out horse standing neglected in a farmer’s field, offers the farmer a few dollars, hauls the horse home without benefit of a vet check, and within days discovers that Old Dobbin is the devil incarnate, sucking dry the family’s savings as the vet bills roll in, kicking and biting everyone within reach, and generally making life miserable. This is in no way meant as an indictment of horse lovers or horses in need of help. It is a plea for a sane approach to the decision to take in a horse that is pretty much guaranteed to have problems. After all, once a horse finds a new owner, he is going to be as much at the mercy of this new human as he was of his former keepers. Do you want to be just another link in the chain that has bound horses to destruction for centuries, or do you want to give a needy animal a fair and loving chance at a healthy future? The first consideration has to be your own financial means. Can you really afford a horse at all, let alone one that may well be in need of long-term vet care and careful, often expensive, feeding? If you already own a horse, do you hesitate to call the vet when he’s sick or injured, preferring to wing it rather than fork over for the barn call? Do you understand what it means to take on daily shots, special hoof care and shoeing? I speak from personal experience when I say that the rescued horse may be the most expensive animal in your care. The sullen Paint mare just seemed to cry out to me for help. She was 200 pounds underweight (“needs a few groceries,” the dealer said) and was obviously foundered. And pregnant. Let's not forget pregnant. 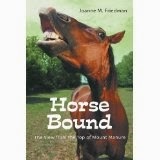 The mare never made eye contact throughout grooming and tacking-up and seemed terribly detached and depressed. 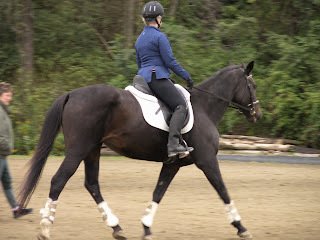 The trainer hopped on her, and the horse went nicely at the walk, trot and canter. The back-up was an issue. A big one. She backed up. Straight into the air. 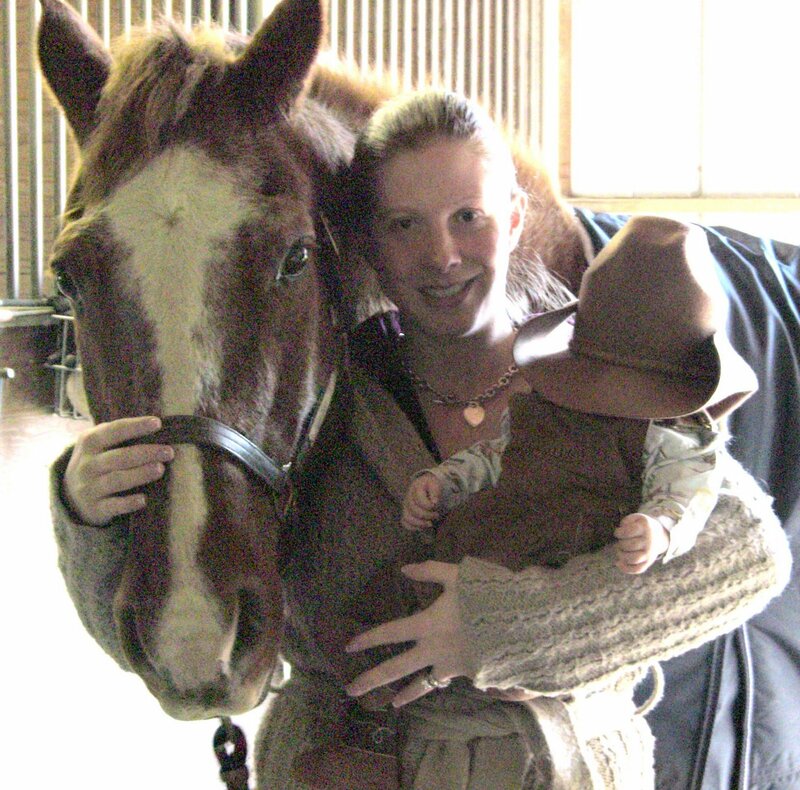 With more than thirty years of horsemanship behind me, I knew things like that could be managed with training, so after a second visit and a vet call to confirm my decision, I had the mare delivered to the boarding farm where my three other horses were busy draining my finances. A two-week trial confirmed that the boarding farm could handle her, so I paid up and she was mine. Had I not taken her, had she sat unwanted on the dealer's lot for more than, say, 30 days, she would have gone to auction, which is where horses like this one wind up. Missleading turned out to be a relatively simple case. Her lack of fitness was minimal, and she thrived on her new feeding regimen. She hated being in a stall, which was a problem as she needed to be quarantined for a bit. The barn owner was nice enough not to charge me for the damage. 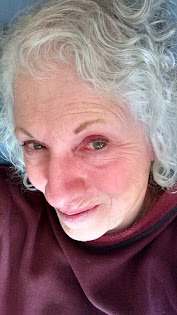 The founder was bad, but she was sound enough to ride and jump for another two years before heaves (COPD) set in and I had to retire her. She gave me a beautiful baby, so it would appear that I came out ahead. That was almost sixteen years ago. Sixteen years of specialty shoeing for a horse that has been un-rideable for 9 of those years. Fourteen years of special feeding and haying and medication for her breathing problems. Sixteen years of blankets and grooming and semi-annual shots and worming. Add it all up, and Missleading lived up to her name...she has cost me roughly ten times what any other horse in my barn has cost. Once I bought my own place and brought her home, the costs leveled out a bit. I was experienced enough to do my own retraining on what turned out to be an off-the-track thoroughbred Paint (hence the questionable reverse and an intriguing approach to trails) with a willing attitude. Put yourself into that picture. Do you know how to safely feed up and re-fit a horse that’s been allowed to drop weight? Do you have a shoer you trust to manage a complex hoof situation? Mine has kept Pokey completely sound despite 22-degree rotations of her coffin bones. He deserves a medal. Are you competent to retrain a horse that may have been abused, beaten, or (possibly worse) spoiled rotten? Do you know the difference between “nerves” and aggression? Are you committed to the endless search for better solutions to health problems? Most important, do you have a plan for the horse should he turn out not to be the ideal companion you’d hoped for? If your answer to any of these questions is a resounding NO!, then you really should rethink your plan to adopt an abused or neglected animal. There are plenty of outgrown horses, older animals, and ponies who have served their owners well but are no longer sound enough to ride, and all of them need loving homes. Yours may be perfect for one of them. Lately the horse news has been riddled with the facts and suppositions of the growing problem of abuse and abandonment of horses across the nation. Pro-slaughter voices are blaming the 2007 law ostensibly (though not in reality) banning all slaughter of American horses. Anti-slaughter advocates are sure the statistics are lies made up by their adversaries. The reality is that both factions are wrong. What’s happening to America’s horses is less related to laws for or against slaughter and more directly akin to the 14% primary residence foreclosure rate and the growing fashion cachet that horse ownership has developed in recent years. Like high-end cars and McMansions, horses are falling prey to unrealistic materialism. Unlike houses and cars, however, which are easily repossessed, horses are more likely to be subject to abandonment or early destruction when their owners run short of time, money or enthusiasm. The statistics are not absolute. The Horse and other magazines continue to follow the debate. But reports of horses being “released into the wild” or left to languish in pastures across the country are numerous and hard to refute. Regardless of the cause, the effect is the same: Horses are being abandoned. Now, abandonment comes in many forms. It’s not necessary for a horse owner to haul poor Misty off to the open range and sing “Born Free” while she stands looking startled and confused. Abandonment can happen right in the backyard. When owners run out of money, horses run out of hay, grain and veterinary care. Ø The horse’s rider is a child who has stopped begging to go to the barn. Ø Old Sawdust is starting to look more like a yak than a horse, but no one seems to have the energy or time to give him even a quick once-over with a brush. Ø The horse needs shoes or is overdue for dental work or shots, but you’re putting off those expenses so that you can pay other bills. Ø Hay and feed suddenly seem very expensive, so you’ve started cutting corners. Ø There’s a dead bird floating in the water trough, and you don’t know how long it’s been there. Ø You’ve made a lifestyle change—new job, marriage, pregnancy, new hobby—and riding simply isn’t high on your priority list anymore. Ø The rider in the family has suffered an injury or illness that precludes active participation in sports or active care of a large animal. Ø The horse owner in the family has passed away, and no one else is interested in the animals. Ø Your barn needs repair, but you really aren’t excited about the work and expense involved. Ø You’ve stopped looking forward to the flood of new catalogs and horse magazines that used to keep you lusting for days each month. Ø Inertia has replaced excitement in your horse life, and you aren’t sure why. Certainly none of these symptoms of disaffection is necessarily terminal. If the change is only temporary, and just a few minor adjustments in your attitude or your situation transport you back to your accustomed level of interest, then there’s no reason for concern. But many times we horse owners simply have a hard time admitting that we’ve lost the desire to own a horse. The horse world is tight-knit and full of pressure, so guilt and embarrassment play a large role in our decisions to keep horses past a logical point. Guilt is never a good reason for a choice. Voices using guilt as a propaganda tactic to force unwanted horses into inappropriate homes are adding to the chaos and pain, not relieving it. If you're on food stamps, you don't need a horse. Period. Regardless of the rationale, when a living creature—no matter how shaggy and evil-smelling it might have become—has its life and well-being in your hands, it is your responsibility to make good decisions. Whether you leave a horse standing in your pasture unattended and uncared-for or you open the gate and hope that Sugar Lips will find her place in the wild, abandonment is never the right answer. Nor is clicking your heels three times and hoping someone will come along and hand you the money to keep your obsession alive. Hand-to-mouth doesn't work when the mouth is attached to a thousand-pound eating machine, a fact that many rescues and adoptive owners are quickly discovering, and vet bills can bankrupt a marginal economic system in a heartbeat. The right answer may take the form of a sale ad online or a “Free Horse!” poster at the supermarket as long as the prospective owners are thoroughly vetted and come with references from horse professionals. It may mean a free lease to an excited young rider or a donation to a handicapped riding center. It may mean calling a rescue group and dropping your pretense of financial stability long enough to beg for a home for your former equine partner. Whatever you choose, make sure you have the horse’s best interests in mind, not just your own convenience. Don’t turn a blind eye to a hazardous living situation at a run-down farm just because the owners will take your problem off your hands quickly. Ask around, take some time, and find your horse a new home. Wherever you stand on the subject of horse ownership, doing the right thing is always the correct answer. This was an unwanted horse. This gorgeous mare was a freebie handed down to my daughter by our equine dentist about 15 years ago. Her original owner passed on her when she was only 3 because she was "too hard to train". The dentist handed her down when she was 5 because she didn't "catch" when he tried (once) to breed her. Jess took her as a project with the intention of putting 30 days on her and selling her, but her issues and excellence have made her a permanent fixture, one which will eventually grace the stall I keep empty for her here. This was also an unwanted horse. His owner couldn't handle him, ran out of money, and put him up for sale. No one bought him. I got him for $1000...what she owed in insurance and car payments. He became a very interesting (horse people know what I mean by that) lesson horse and finally graduated to my dressage partner when he was 19. At 25, he's still my buddy and still solid as a rock and energetic as any 10-year-old. And he'll cart my 3-year-old grandson around over poles and circling barrels without so much as a backward glance. He's the only horse I trust to stand in the cross-ties while I run to the house for a last-minute pre-lesson pee. THIS was an unwanted horse. He was rescued twice by the same woman and went on to win top honors at QH Congress in barrel racing. He was a back-breather and a terribly stressed young guy when I first saw him. He was the horse that had to go backwards into the pen for a while because he was so hot he'd blow up if he saw the barrel pattern head-on. What all three of these horses have in common with each other and with my beloved (*cough, choke*) Zips Money Pit is that they are a little erratic. A little off-center. The TB mare in the top photo, my daughter's event horse, Dolly, is learning disabled. Backing over the judge was her best event for years. She did fine once we figured out (with the help, I willingly admit) of an animal communicator that she needed everything laid out for her in concrete fashion. Cones, poles, barrels...anything that could direct her to the desired action. The QH gelding, Leo, was spoiled. Judging from the arthritis in his hocks, he might well have been a barrel horse in his younger years. He's still quick and willing at 25, but at 15 he was a handful for his young owner who gradually reduced her contact with him to monthly carrot-fests and no riding at all. When she listed him for sale as a "problem horse", she put a high price on him, and with good reason. In reality, Leo was John Lyons Method trained and had all the talent anyone could hope for, but he was 15 and had no points behind his AQHA registration. Only one buyer--a local dealer--came to look, and she offered pennies for what she considered a cheap "family horse" she'd only be able to get a couple of thousand for. I offered a better deal. My offer included a lifetime home where the former owner could visit, carrot at will, and pet heartily but never ride or own him again. The third horse, also a QH, is Sioux's Native, grandson of Native Dancer and an ace barrel racer who had been burned out by over-training and idiot owners. Bought (twice!) at auction by the wonderful folks in the photo, he wound up handed around and back at the auction through no fault of his own but totally through the fault of folks who hoped to hook their wagons to his rising star before he returned to his destiny in their home pasture. Cynthia Pritchard Koeller has the belt buckle and awards to show for her caring attitude, but mostly she has this horse. So, we come the long way around to the current situation at Camelot Horse Auction and other locales where the article below kicks in. One man's champagne is another man's beer, or something like that. There are reportedly 100,000 homeless horses PER YEAR in the US alone, and there's a system in place for dealing with them that benefits no one but the brokers and auction dealers. If this isn't the time for a reassessment of horses in this society, I don't know what more we need. Yes, it's possible to get overawed by the need and even more by the emotional level of the situation. This is the time for clear-thinking and for the bookkeepers and auditors to take the reins. It's lovely to see photos of needy horses online, delightful to hear the GOD SAVE THE BAYBEEZ! pleas, and enticing to note that a mere pittance can put one of these erratic creatures in your backyard, but it's not helping the situation. Read the article. Take it to heart. Figure out a plan. Move forward. Let's really honor the place horses have had in our history and our present and what their presence does for many, many people. It's about time. Shuttling them from one auction to another, from "kill pen" (GAWD, I hate that ridiculous designation!) to Craigslist to slaughterhouse is hardly in keeping with our professed awe of the power and kindness that these animals have shown us as we built a nation--and a world--on their backs and over their bones.